The exhibition “Silent Letters” is currently on view at the Natalie Karg gallery. This exhibition features paintings of Huguette Caland from the past 18 years. Originally from Lebanon, Caland is the daughter of the first post colonial president of that country. She worked in Paris before moving to Los Angeles. Her work has spanned numerous styles and subject matter. This series of square format paintings explore both proportion and geometry. In this work the canvas has a pair of adjacent squares placed horizontally. The center of the canvas that have sides that are one half the length of canvas. 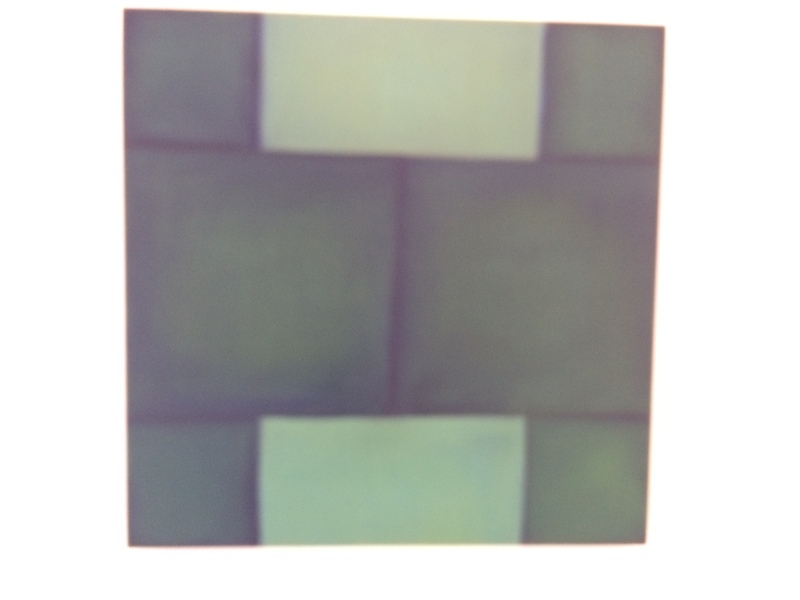 In each corner ,the artist has placed squares with sides one quarter the length of the canvas. Using the measurements of the canvas as a reference point Caland builds geometric relationships between the figures. This second example features squares in more complex play of proportions. Each of the five small darker squares have sides with length one fifth that of the canvas and the large lighter center square has sides with length three fifths the measure of the canvas. 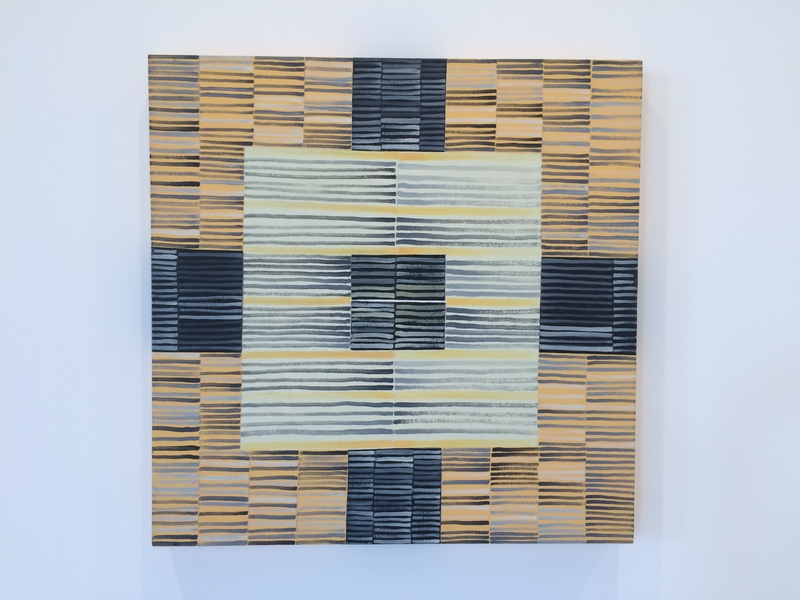 Caland’s interest in grids is more visible in this work. Her use of vertical lines to fill in the spaces reminds me of the mark making of Agnes Martin. The geometric themes of the paintings in “Silent Letters” are strong but it is Caland’s process of filling in the shapes that makes the work personal.